News & Events How to Reduce the Production Cost of Jaw Crusher? How to Reduce the Production Cost of Jaw Crusher? The demand of stone crushing equipment is constantly increasing on the market, as well as the requirement on its quality and crushing capacity. 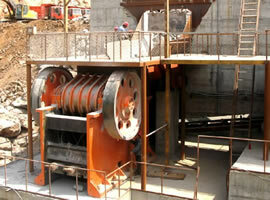 The cost of stone crushing equipment has a close relation with its quality. Jaw crusher spare parts, vulnerable part and so on all occupy a part in the total cost. Many users are concerned by the identical question, that is, how to reduce the production cost of jaw crusher? In order to reduce the spare part cost of jaw crusher, we are striving to develop and improve our jaw crusher vigorously. First of all, we choose the newly high-hardness materials with better wear resistance to build the jaw plates and side plates, so as to extend their service life. On the other hand, our crusher is specially designed for appropriate crushing process: jaw crusher is for primary crushing, cone crusher for secondary crushing, and VSI sand making machine for the fine crushing process. Different stages employ different crushing equipment, effectively reducing the wear and tear to the vulnerable parts. Users also need to pay attention to check the wear degree of jaw crusher and see to it that the worn-out parts are replaced in time. Assign a fixed staff to take charge of the lubrication work of jaw crusher, and according to different seasons and geographical locations choose suitable lubricating grease. Jaw crusher is widely used in the production of sandstone materials and playing a more and more important role in mining and construction industry. 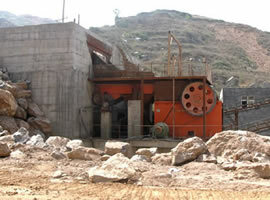 We are doing our best to reduce enterprises' investment and cost and increase jaw crusher's production capacity. How to Prevent Cone Crusher from Being Blocked?